We are a family owned and operated storage facility in business since 1997. We pride ourselves on a clean and friendly atmosphere. Our central location allows tenants to access their items any time during our convenient business hours. We have an active pest control plan to avoid any issues with your prized possessions. Our facility is well maintained: you can safely store business and personal records, furniture, artwork and more. We do not require a deposit on your unit and offer an auto bill option. 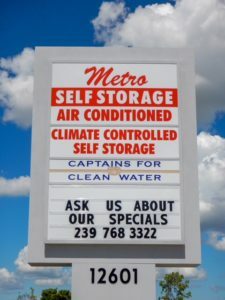 2015 © Metro Self Storage, Inc. All Rights Reserved.